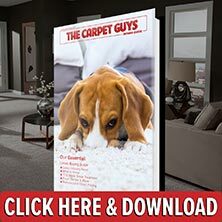 If you are having a difficult time locating professional Grosse Pointe carpet installers, do we have some good news for you. By allowing The Carpet Guys to take care of all your flooring needs, you will receive the best flooring services available. As a professional Grosse Pointe carpet company, we know what it takes to install flooring in a home correctly, and you can see it in our craftsmanship. In addition to all of the benefits listed above, every job that our installers complete is accompanied by a free lifetime installation warranty. If you happen to encounter a problem after the install, we will come out and fix it for you. Upon the request if the customer, they will take the furniture out of the room and tear up the old carpeting for you. Once the existing carpeting is removed, it is bundled up neatly and placed outside at the curb (if available). They will then install the fresh carpet padding and install the new carpeting on top. Once that is done, they can move the furniture back into the rooms, completing the job. If you are ready to have new flooring installed in your home, contact us today by filling out a free in-home estimate. This can be scheduled through our website or over the phone, whichever way works best. We look forward to hearing from you soon!